Threaded holes of various objects and machines might get damaged with wear and tear. But that doesn't mean they are useless. You can restore the damaged threaded inserts by using thread repair inserts. When you use any machine on regular basis, it gets depreciated with time. You might have to replace worn parts or start wobbling due to loosened screws. You can replace the object if the machine is small in size. However, for large machines and expensive fixtures, we would recommend you to take help of experts. 2. Understanding the process- After gathering all the required tools, you can start repairing the hole. But before that, you must understand the process. You need to drill the hole to a larger size and tap it with fitting tap and screw in the insert into the tap. 3. Drilling the hole to enlarge it - This is the first step in repairing the thread process. You need to drill the hole to make it bigger than its initial size. Do ensure that the hole is large enough to house the tap and the insert, but at the same moment, it should not be larger. 4. Tapping the hole - Once you are done with the hole enlarging, insert the tap into hole. In this tapping insert, you will insert the threaded insert. 5. Inserting the insert- You need a special tool for performing this task. Place the insert at the tip of the special tool and screw it into the tap insert. 6. Finishing - Once you install the insert, you need to remove the tang of the insert. You can perform this task by placing a screwdriver on the tang and hitting it with the hammer. Repairing of threaded inserts is not a difficult task as it seems to be. Once you have repaired it, you can put in the screw and fasten it to restore the machine. 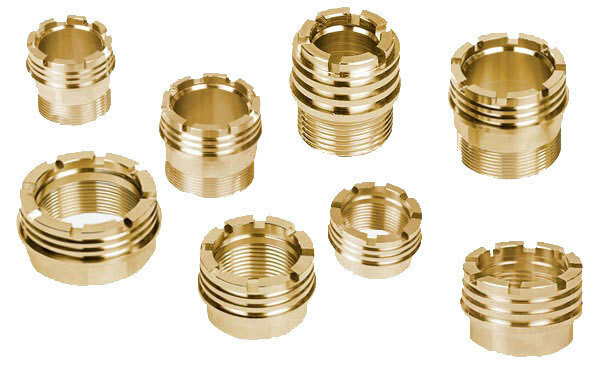 You can also contact manufacturers of threaded inserts for wide range of products at best prices.